Corel DESIGNER Technical Suite X5 is the trusted choice for businesses. That need to effectively communicate the strengths of their products and services through clear, informative technical illustrations or diagrams. This complete suite allows organizations of any size to create powerful technical graphics – fast! From operation guides and parts catalogs, to schematics, wiring diagrams, assembly instructions, maintenance manuals and architectural presentations. Corel Designer Technical Suite X5 provides industry-leading file compatibility, including 3D CAD import, while delivering precision tools for illustrating, diagramming, bitmap-to-vector tracing, and professional photo editing. With its optimized workflow, multilanguage support, and easy network deployment, this comprehensive suite is equipped to meet the needs of companies that demand technical design excellence. Create illustrations, diagrams and technical documentation with confidence with Corel DESIGNER Technical Suite X5, the complete solution for visual technical communications. With industry-leading file compatibility, 3D re-purposing, precise drawing tools and intuitive features, it supports your entire workflow. Publish technical documentation online or in print thanks to support for WebCGM, S1000D and other standards. Optimize your workflow and increase productivity with Corel DESIGNER Technical Suite X5. Start projects quickly with industry-leading file compatibility and 3D re-purposing with optional support for CATIA, Pro/Engineer and other native 3D formats. Create illustrations and technical documentation with confidence using dedicated technical drawing tools and intuitive features. Create and deliver standardized technical documentation with support for leading formats, including WebCGM 2.0/2.1 and S1000D. Confidently exchange files with colleagues and clients thanks to updated and enhanced support for more than 100 file formats. That include AutoCAD DWG and DXF, Microsoft Visio (VSD), SVG, DOCX, JPEG, PNG, TIFF and more. Corel DESIGNER X5 also offers enhanced support for Adobe products, including AI, PSD and PDF files. Open, work with and output 3D models. Such as AutoCAD DWG and DXF, 3DS and Google SketchUp with Right Hemisphere Deep Exploration 6 CSE. Work more efficiently with new task-oriented workspaces for Technical Illustration, Authoring Training material, and Sales and Marketing collateral creation. 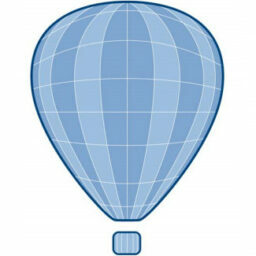 Quickly find graphical assets on your computer, network or external storage device or online sources with Corel CONNECT, the full-screen browser (also available as a docker within Corel DESIGNER, CorelDRAW and Corel PHOTO-PAINT). For easy access, you can keep a collection of content in the tray, which is synchronized between the browser and the dockers. For the first time, Corel DESIGNER Technical Suite includes CorelDRAW X5. That adds a powerful and intuitive creative vector illustration and page layout tool for complementary tasks. The latest version of Corel PHOTO-PAINT is also included. That offers an easy way to enhance and retouch photos to include in your work.